“To rake over the dead ashes of a burnt out love one must use the pen point of poetry” –Rudolph Valentino. Behold the sensitive soul of a Sheik, self-revealed to a world of worshippers. 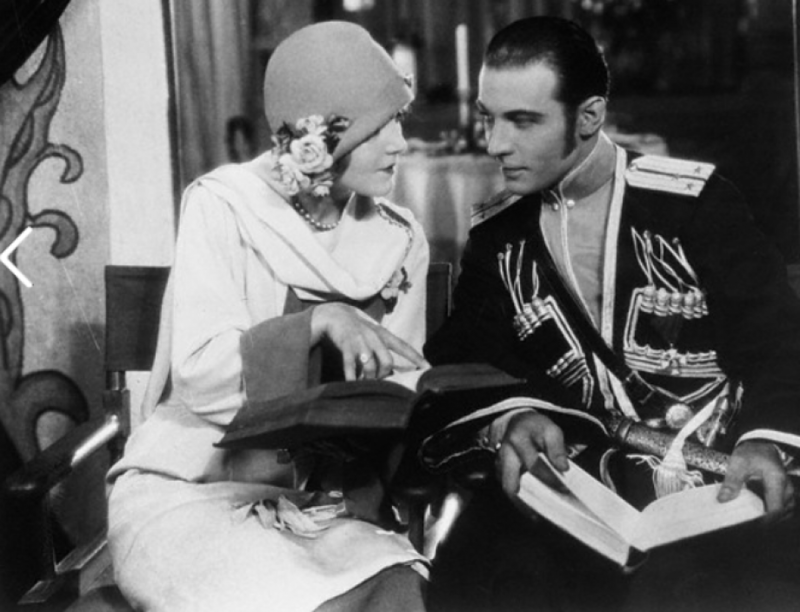 Rudolph Valentino master lover of the silver screen, forcibly exiled from film land, declares he has found consolation in the Muse of Poetry. A volume of poems and epigrams bearing his signature has just been published. Flaming orange, symbolic of passions torch, contrasted with the black of disillusion, appropriately clothe the slender sheaf of verse in which the screen troubadour sings his first serenade to the public. “Day Dreams” he modestly calls his offering. “Just dreams a bit of romance, a bit of sentimentalism, a bit of philosophy”. They were written, he tells us during his enforced inactivity, “to forget the tediousness of worldly strife”. “Till we kiss our lips, of the mate of our soul. We will never know love has reached its goal.” More often he is the sophisticated Don Juan, reflecting cynically: “I do not care for anything that comes easily, It never lasts I know, but I fell in love with you easily. But not lastingly I know”. Then inconsistently enough, he turns to reproach someone else for being just as fickle. But enough of the offerings laid so generously on the altar of love. They fulfill the promise of the Valentino who thrilled the nation as the on-screen lover of Alice Terry, Nazimova, Agnes Ayres, Nita Naldi, Patsy Miller, Gloria Swanson. A many sided personality emerges from the orange covers of “Day Dreams”. Day dreaming Rudolph is the life-story of the actor-dancer-poet, with many a flash-back into the days of discouragement and disillusion of the first eight years, in America. It is the struggle of the unknown Italian youth in a strange land that lives again in the verses between the pages of this book. Many of the lyrics owe their inspiration to Nature. Rudolph’s intimate knowledge of growing things comes from his early training as an agriculturist, and recalls the humble past of the future Sheik who left the fruitful farms of his native Italy to work in America as a landscape gardener. Religion plays an important part in the nature of worship of Valentino, who sees God’s handiwork everywhere, and pays tribute to its observations. It’s a sad, sad, world to Rudolph Valentino despite all the popularity that has come to him in the past two years. The author of “Day Dreams” if his revelations are to be considered as bona fide, is a young man who takes himself and his art seriously. His verses are filled with melancholy. The idol of the world of movie fans doesn’t seem very much thrilled by his sudden attainment of the pinnacles of success. Far from being satisfied with things as they are “Happiness you wait for us Just beyond, Just beyond. We know not where, nor how we shall find you. We only know you are waiting, waiting just beyond”.